You are cordially invited to participate in the ninth meeting on Neurodegenerative Diseases to be held at Cold Spring Harbor Laboratory. The meeting will begin with dinner and the first session on the evening of Wednesday, November 30, 2016, and will conclude with lunch on Saturday, December 3. A primary goal of the meeting is to provide a forum where medical scientists from academia can interact with scientists from the biopharmaceutical industry, thus forging a community of academic and industry researchers who recognize that they have much to learn from each other. Rational drug discovery for neurodegenerative diseases has begun to yield compounds and treatments that are now entering clinical settings. For human studies utilizing these compounds and treatments to be maximally informative, it is crucial that scientists from academia and industry meet regularly to exchange data and ideas. This meeting will consist of six to seven oral sessions plus one poster session. The aim is to populate half of each oral session with speakers from academia and the other half from industry; speakers will be invited as well as selected from submitted abstracts. Abstracts should contain only new and unpublished material and must be submitted electronically by the abstract deadline. 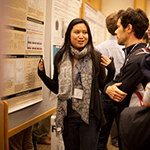 Selection of material for oral and poster presentations will be made by the organizers and individual session chairs. 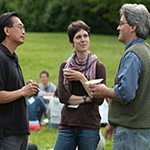 The status of abstracts (i.e., talk or poster) will be posted as soon as decisions have been made by the organizers. Please bring this announcement to the attention of any of your colleagues who may be interested in participating in the meeting. 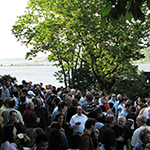 Cold Spring Harbor Laboratory is eager to have as many young people as possible attend this meeting. As such, we have some funds set aside to partially support students and postdocs. Please register and apply in writing to Heather Johnson stating your eligibility and need for financial support. Preference will be given to those submitting abstracts. Partial support for this meeting kindly provided by AbbVie. 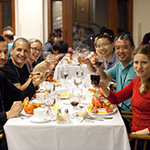 We look forward to seeing you at Cold Spring Harbor Laboratory at the end of November 2016.